Remember when you were young? 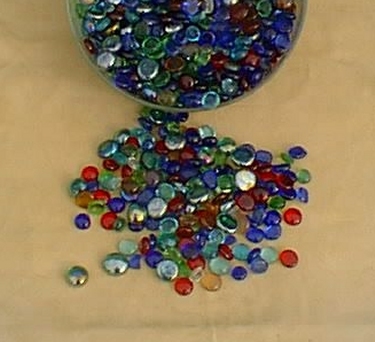 Ever played with marbles? We have cats-eyes, shiny pearl, oily, and agate Marbles. Play "quitsies", "keepsies". And you can have a bonker, masher, plumper, popper, shooter, thumper, smasher, taw, bumbo, crock, bumboozer, bowler, tonk, tronk, godfather, tom bowler, fourer, giant, dobber, dobbert, peawee/peewee or mini. Use them for for play, for fishtanks, or in bud vases. What makes these a little different is that they are flat on one side. Great fot tic tac toe or Mancala.